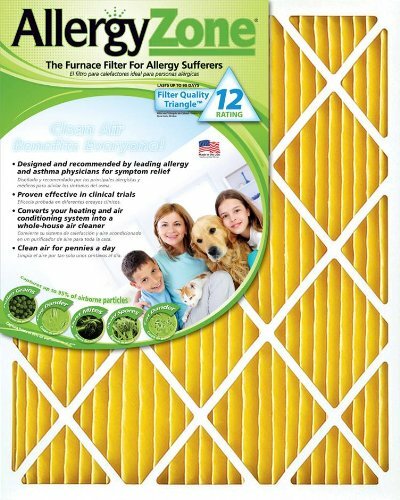 AllergyZone AZ14251 Air Filter for Allergy Sufferers, 14 x 25 x 1"
Product prices and availability are accurate as of 2019-04-20 09:48:44 EDT and are subject to change. Any price and availability information displayed on http://www.amazon.com/ at the time of purchase will apply to the purchase of this product. Founded in 2002 by a leading allergist, AllergyZone, LLC provides cost-effective, evidenced-based solutions for the avoidance of airborne contaminants that can trigger allergy and asthma exacerbations. AllergyZone furnace and air conditioning filters are recommended by allergy and asthma physicians and proven effective in a Healthy Home study, supported in part by The Department of Housing and Urban Development (HUD). The study demonstrated a decrease in asthma related symptoms (wheezing and cough) when HVAC systems were serviced and an AllergyZone was installed. Another real-world study confirmed capture of animal, pollen, and mold allergens by the filter in residential HVAC systems. AllergyZone filters provide superior performance in three crucial areas, which we call the Filter Quality Triangle. Holding Capacity: AllergyZone filters hold up to 60% more dirt than other brands. Air Flow: AllergyZone filters allow for optimum airflow as they load with dirt. 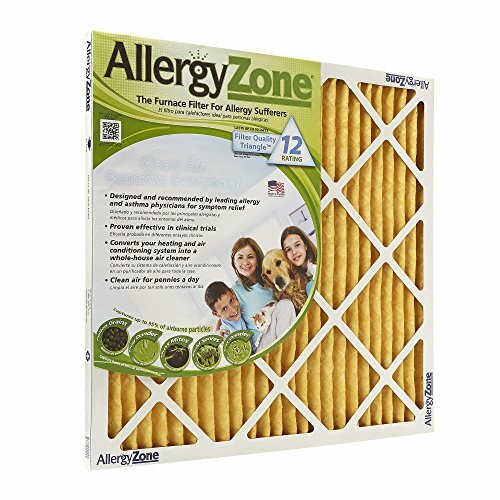 Efficiency: AllergyZone filters remove up to 95% of many airborne allergens. Each filter is constructed with premium grade components, including a 2-piece double wall frame for durability in the air stream. The unique, dual-layer electrostatic filtration media is composed of synthetic fibers that do not support microbial growth. 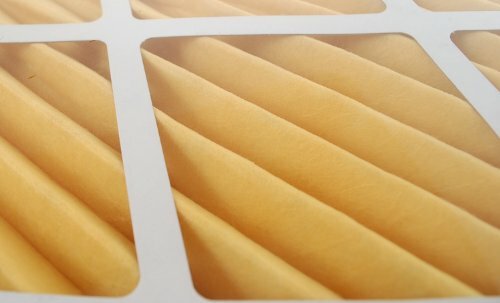 The pleated media configuration is 500% more effective than ordinary fiberglass air filters. Each filter is individually sealed in plastic to insure cleanliness prior to installation. Johnson L, Ciaccio C, Barnes CS, Kennedy K, et al. Low-cost interventions improve indoor air quality and children's health. Allergy Asthma Proc. 2009 Jul-Aug;30(4):377-85. Barnes CS, Allenbrand R, Mohammed M, Gard L. et al Measurement of aeroallergens from furnace filters. Ann Allergy Asthma Immunol. 2015 Mar;114(3):221-5.